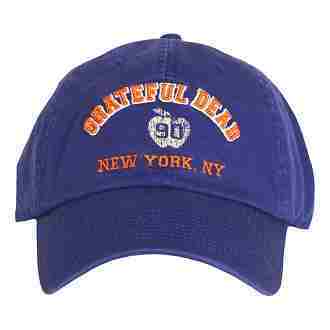 Block the sun from getting in your eyes, in this groovy, cobalt blue, grateful dead baseball cap. Join the team, or play in the band and enjoy the cool shade that The Good ol' Grateful Dead has to provide! Officially licensed Grateful Dead merchandise.